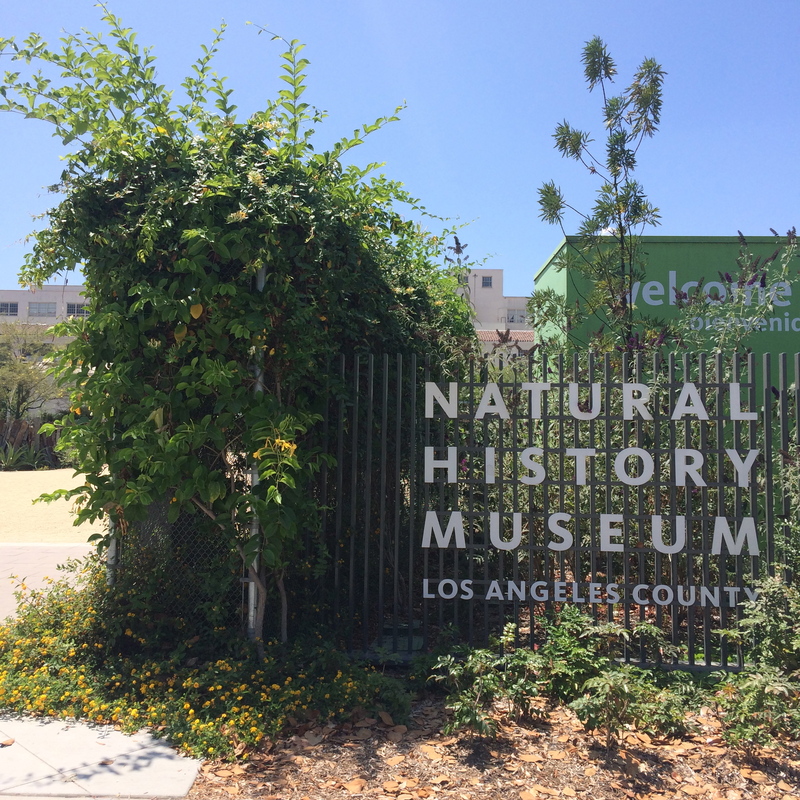 Last week we had the chance to get a behind-the-scenes-experience with the Ornithology department at the Natural History Museum, which is one of my FAVORITE museums here in Los Angeles. 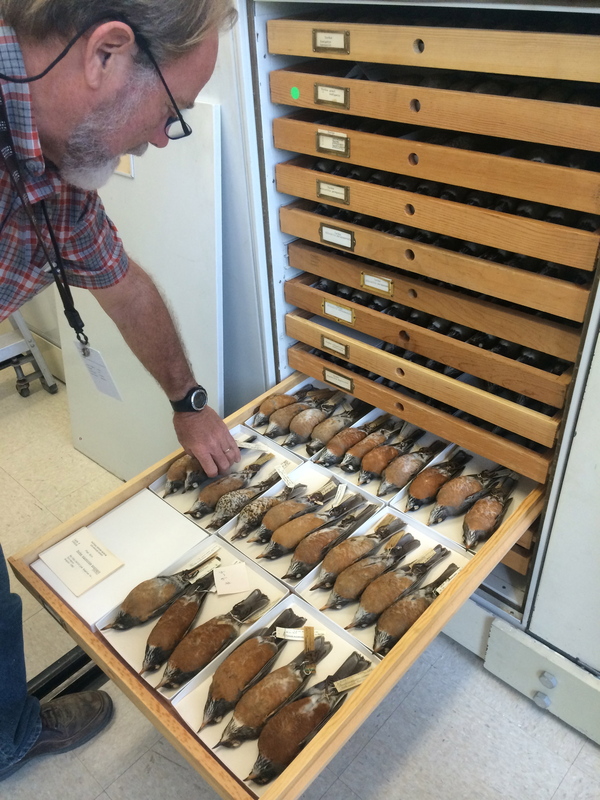 Every time I go, I HAVE to check out the their bird room, and I have always wondered if that’s all they had….well they don’t! They have thousands upon thousands of different birds from all over the world, it’s AMAZING! 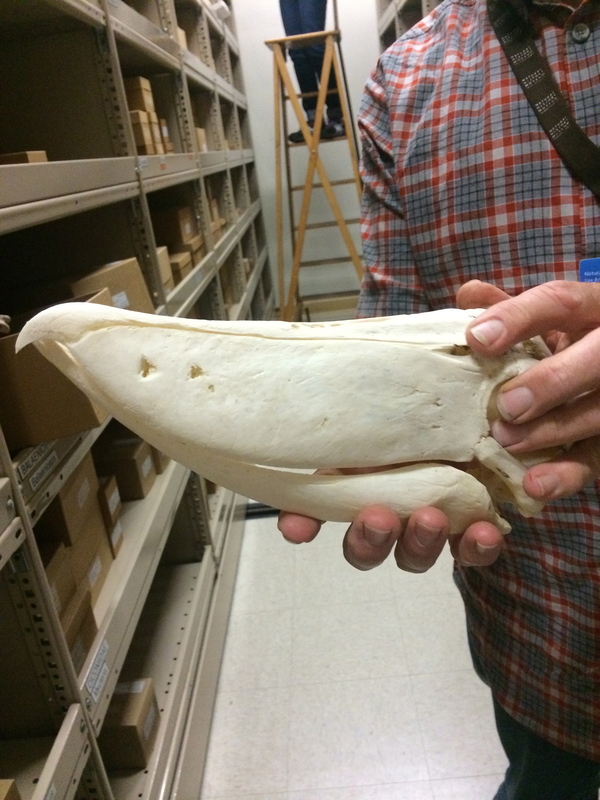 We met up with Kimball L. Garrett, the Ornithology Director and he gave the grand tour of the department. 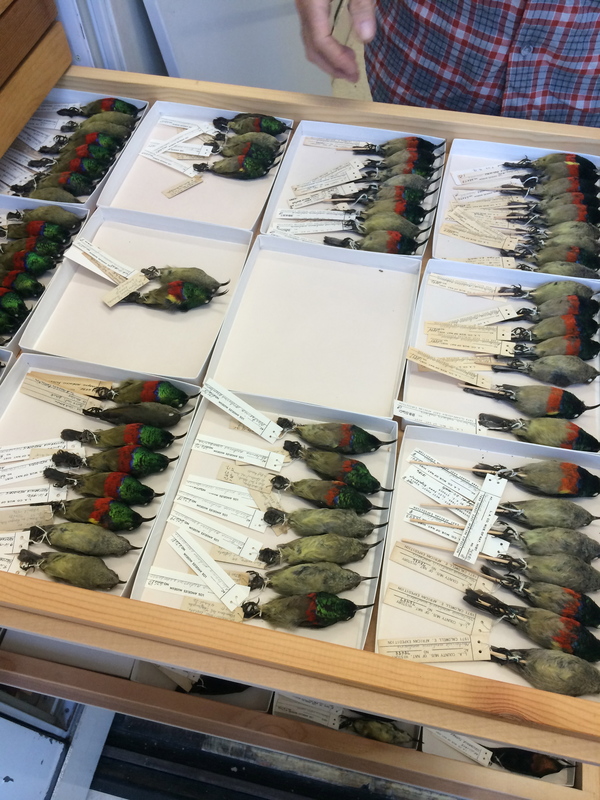 He took us to their rooms that have THOUSANDS of different species of birds that have been found or taken in for science purposes and are now now curated and kept safely. Mr. Kimball was telling us that one of the biggest problems they have in this room is keeping beetles out. He even showed us the traps they us, and many of them had several beetles stuck to them. 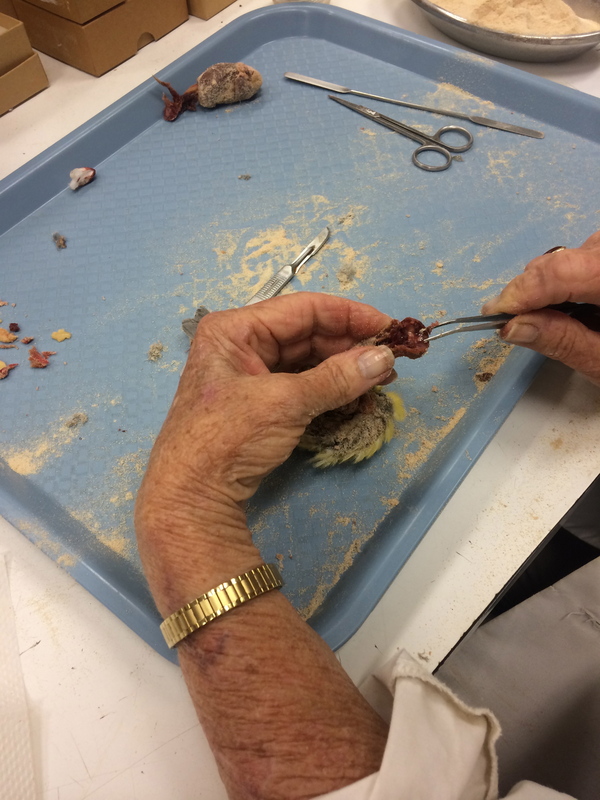 We were also able to go into the room where the volunteers were dissecting the birds, cleaning them and stuffing them back together. It was VERY cold in there, and it had this smell that reminded me of that time in high school where I was forced to dissect a frog. Some of the volunteers had been there for 15+ years!!! 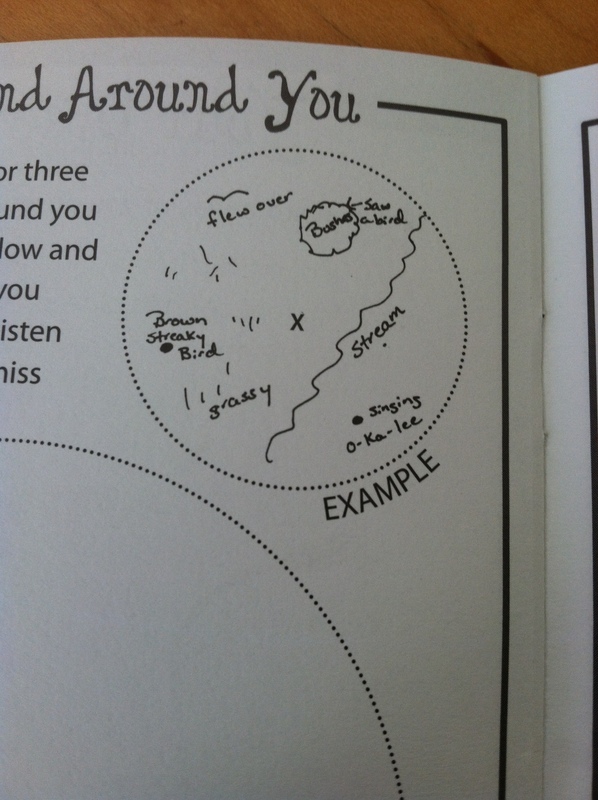 Wow, talk about dedication. It was such a treat to be able to see to all the work that really goes on to be able to put a new bird out in display at the museum. This week I have worked on more habitat restoration and I have been monitoring the Least Terns at the Venice site. We have started to plant native grasses at Baldwin Hills Scenic Overlook in places where we have weeded. It looks great when all the weeds have been removed and there tiny bunch grass has been recently planted. I am hopeful that many of the grasses that were planted will survive and the area will look a lot different than it did with the weeds. The Least Tern monitoring is also looking promising. The terns are sticking around this time and the crows seem to be staying away for the most part. 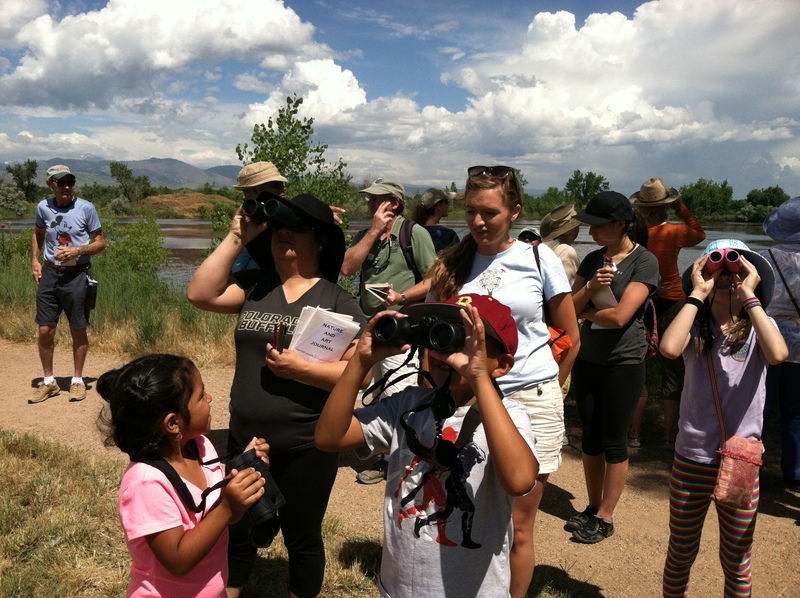 There was a walk-through of the exclosure to check for nests and eggs and they found over forty nests! This is very exciting news, and I am keeping my fingers crossed that we will be seeing Least Tern chicks soon. This week I also attended an orientation to become a volunteer at the International Bird Rescue Center. They deal with injured water birds and try to rehabilitate them to release them into the wild again. I will learn to handle the birds while they are being taken care of and I will learn how to prepare their food when they are too weak to eat on their own. I am very excited to begin volunteering and to learn many new things while helping injured birds get back to health. 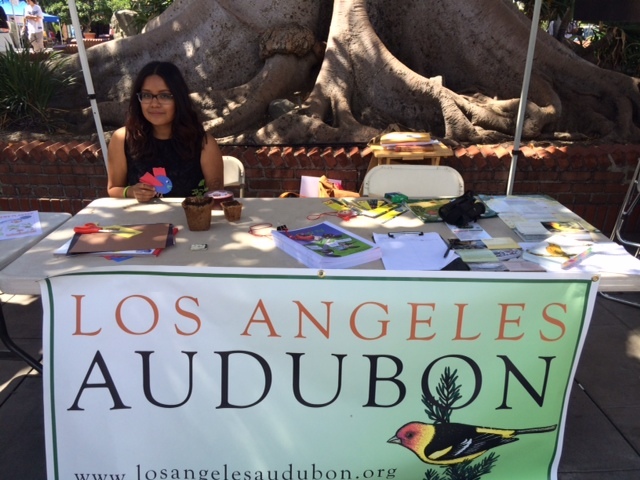 This past Saturday I had the chance to have my own table at the Nuestra Tierra Earth Day event at Olvera Street in downtown Los Angeles. I had the chance to meet people from Tree People, Marcos from Audubon YES program, and an organization that is trying to get the San Gabriel Mountains to be listed as a National Park. I even got to plant my own mint leaves and peas in biodegradable coconut vases but my brother left them at a restaurant. 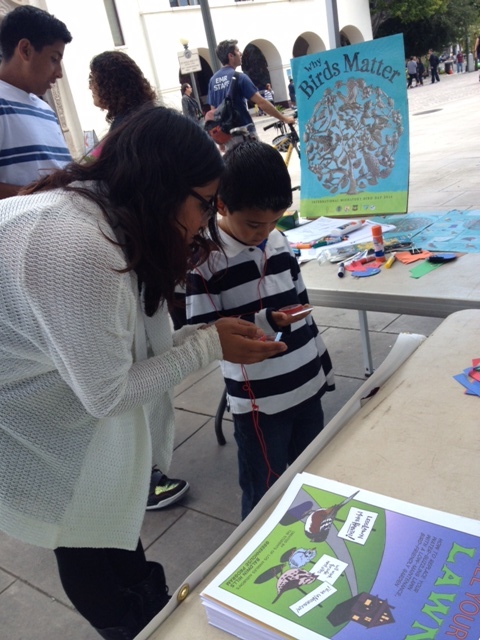 Being that the event was held at Olvera Street, we had a lot of Hispanic families come out. 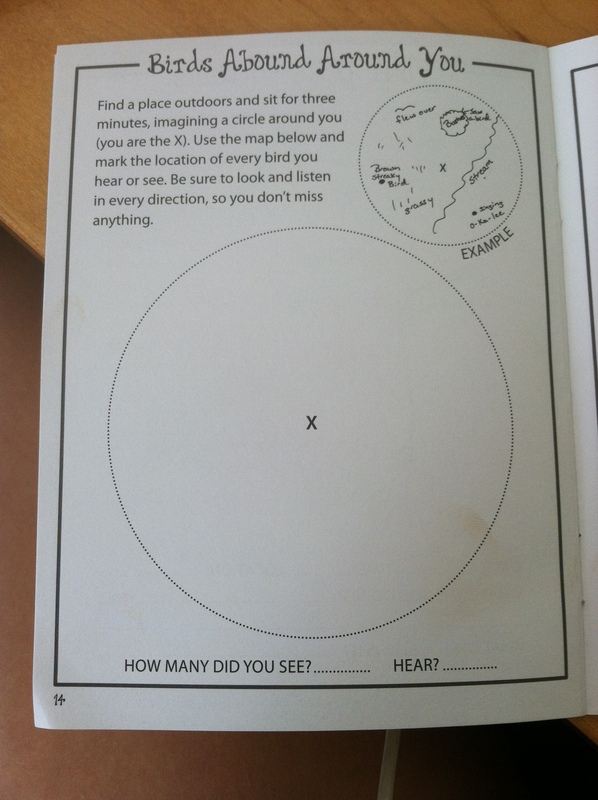 I got to play a little migration game with the kids, show them how to properly use a compass, and I also brought along crafts so that the kids could make their own bird…some were very creative. A little boy even turned his into a bracelet! I was pretty nervous in the beginning since I didn’t know what to expect, or what kind of people would stop by, and we did get some questionable individuals…I guess that Los Angeles for ya! 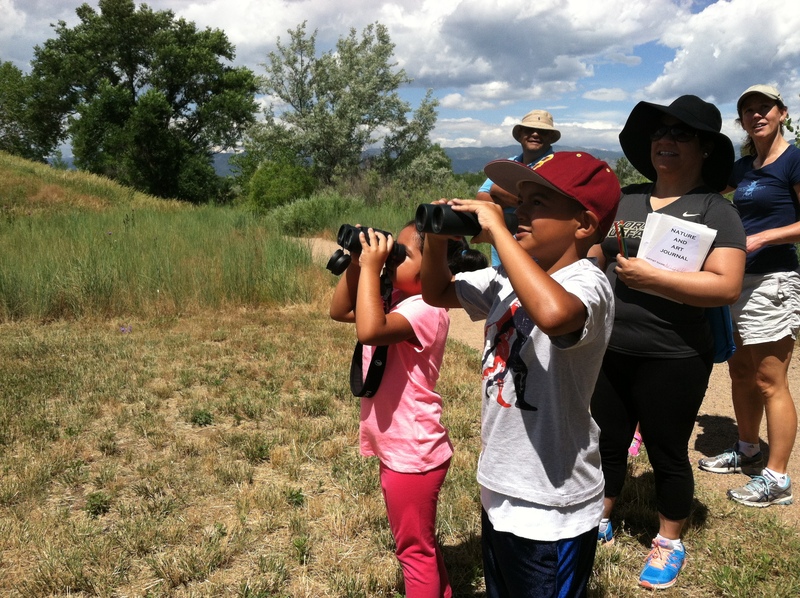 Many of the kids seemed quite interested in learning more about “Why Birds Matter” and what they can do to help protect them. 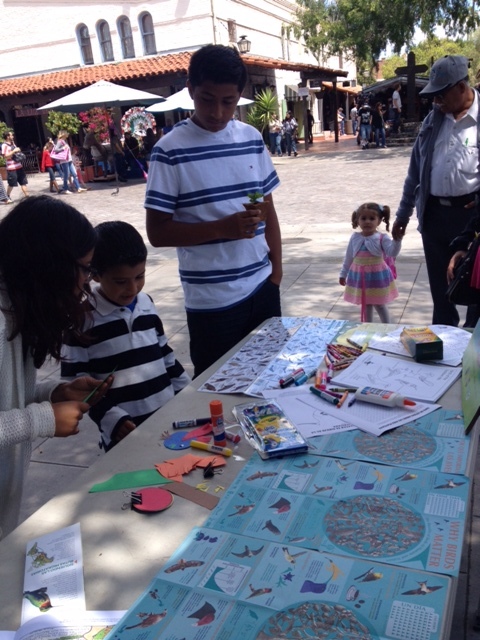 When a child is very interested and wanting to learn more about what you are trying to show them, it brings a smile to my face knowing that I can cause a little bit of a change in a child.I really enjoyed my time at the Nuestra Tierra event and I hope we are able to do more of these now that I understand what I can improve in.